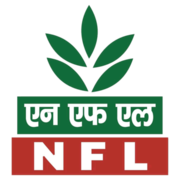 NFL Recruitment 2019 - Apply Online for 52 Accounts Assistant Posts in NFL, Uttar Pradesh on Regular Basis. Online Applications are invited by National Fertilizers Limited (NFL) from 31 Jan 2019 to 28 Feb 2019 for 52 vacancies. Eligible candidates may apply online at NFL's website (direct link is given below) from 31 Jan 2019 to 28 Feb 2019. Candidates log on to http://www.nationalfertilizers.com/.